Apartment Gia is located in a residential building, in peaceful surroundings, in the heart of Florence City, the capital of Tuscany. 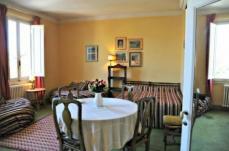 This renaissance building was recently modernized to suit the requirements of discerning tourists. 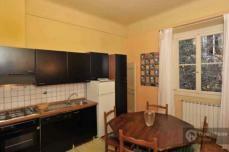 The main railway station is very close to the rental apartment, which is a great advantage to international tourists. Apartment Gia is perfectly located, and guests can walk across to view many of the historical monuments that abound Florence. 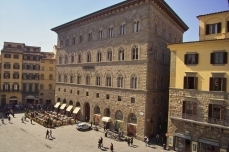 Palazzo Duomo; This elegant palace in the very heart of the historic center of Florence offers all the comforts of home and yet all the services of a hotel. This apartment is situated on the fourth floor is very well furnished, is composed by 2 double bedrooms, a sitting/dining room and 2 bathroom with shower. Views onto the Duomo and surroundings. All apartments are equipped with intercom, a/c , central heating, telephone , safe, kitchens and hairdryers. There is a doorman to greet you and if you have a car we can arrange the garage at an extra fee, they will drop off and pickup the car for you and bring it to your front door. Step out of the building and immerse into this magnificent city, sit at your window or from a balcony and watch the activities of the Piazza below, the colours, rooftops and distant hills . All the rooms have double glassed windows. The building is equipped with an elevator.